This is a trip through my logbook and all the REAL aircraft I've had the opportunity to fly . . . ie at the controls. 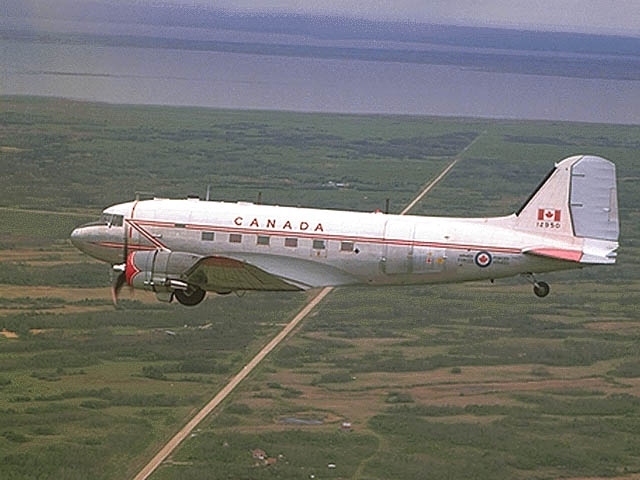 Except my very first flight (in a DC-3) at age 5 or 6 . .. . and the F-18 photo at the end. Here's the business class seat of the CT-114 Tutor. 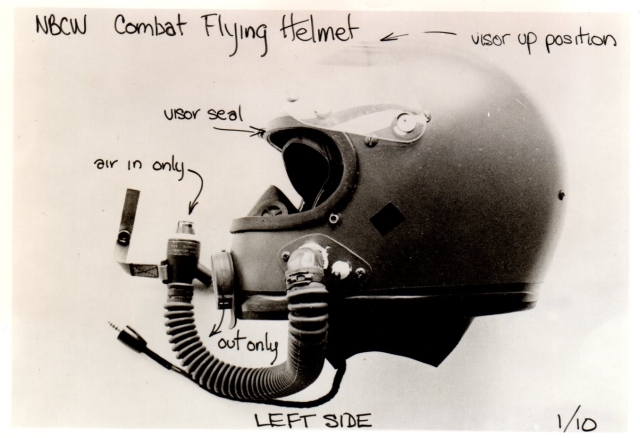 It looks very basic as I look at it now but in 1969, at age 21, it was like a space ship to me, O2 mask, parachute survival gear . . . and helmet. Got about 1 hr at the controls of a Bell 214 in Dallas TX while the Bell rep showed off their latest creation to the Canadian BGen I was visiting with. Able to carry 10,000 lbs on the hook while hovering at 10,000 feet out of ground effect was pretty impressive. Flys like a big powerful truck. 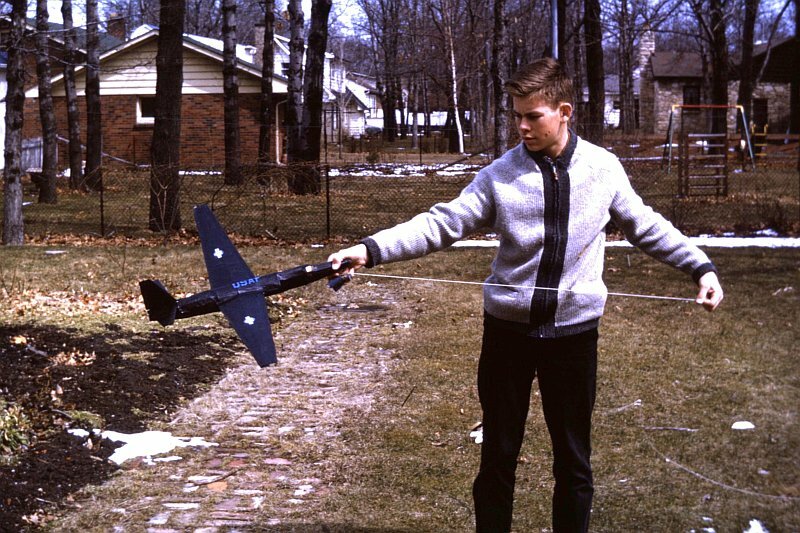 By 10 years old I was building and flying model aircraft with my dad, like the P-51 and U2 shown here, but a turning point came in 1959 when the RCAF Golden Hawks came to Sarnia. The video here tells the story. "Thanks Golden Hawks" I watched them roar overhead and do loops and rolls in formation so close I thought the wings could almost touch. 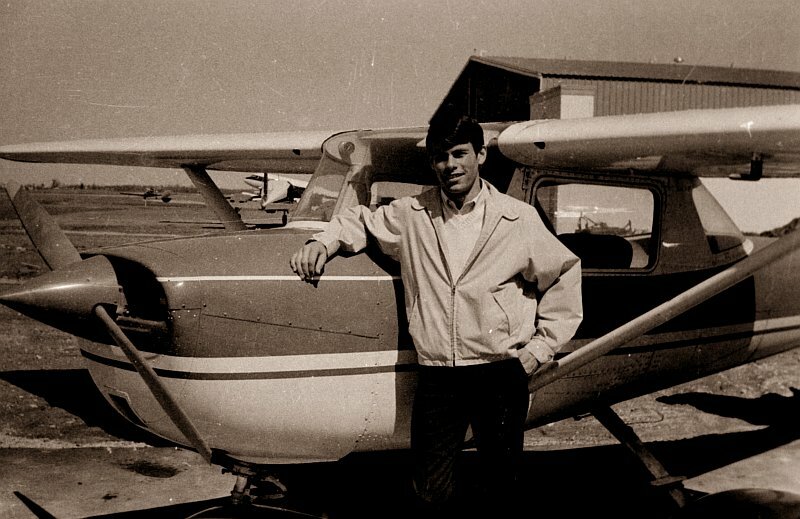 The first aircraft I actually had the controls of was the Cessna 150. I got my license on in 1965. I was 17. I once flew over the football field at Petrolia when the Northern Vikings were playing the Petrolia team and dropped two rolls of toilet paper streamers out the window. I should have been flying the airplane. 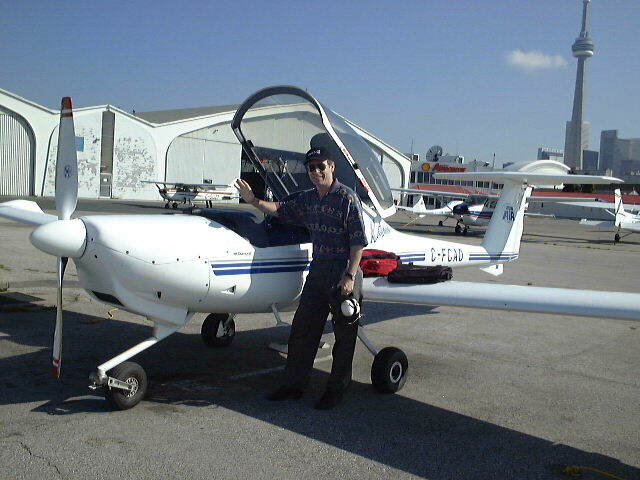 I flew it over 1 mile high once (5500ft) and thought . . man that's a long way to fall. I'd better get down right away before the clouds go too solid under me. Got a few hours in the Cessna Cardinal (right) in Uplands Airport in Ottawa while I was waiting to join the RCAF. 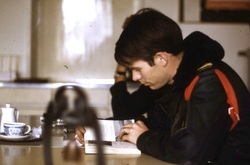 I was accepted for pilot training an Nov 67 and did not start training until May 69 when my volunteer number finally came up. 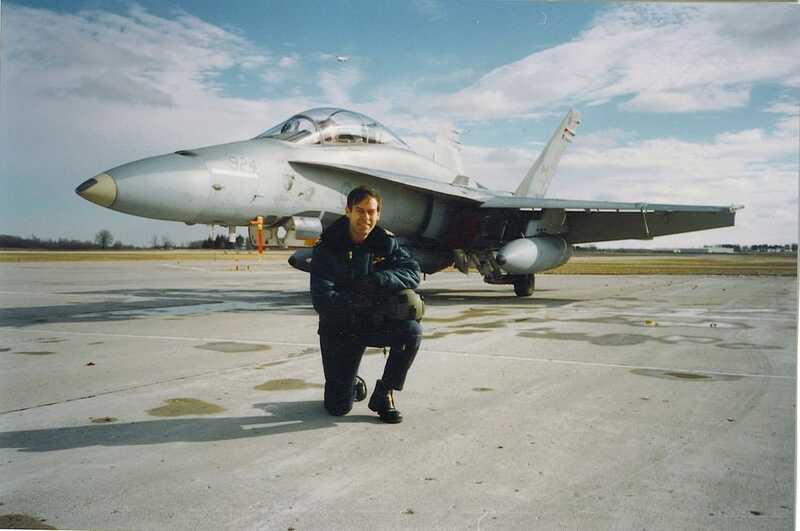 In those days you could become a jet pilot with only a grade 12 high school education . . . . so I figured "who needs any more education than that". . . wrong! 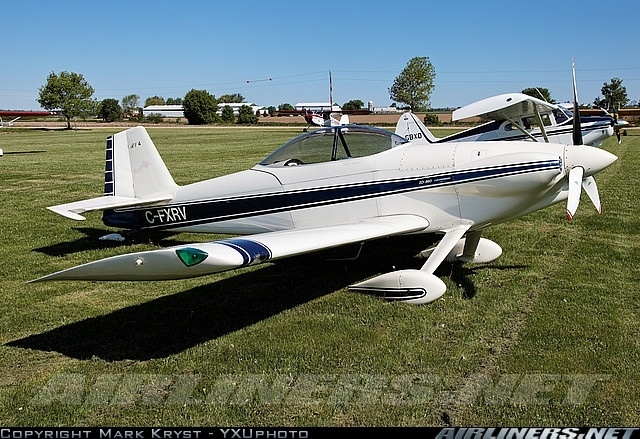 I flew the Katana (Far left) out of Toronto Island Airport for several months in the 1990s as a civilian. The first military aircraft I flew was made of wood and metal and some fabric for the tail and wings. . . The Chipmunk. . . It was really used by the military to figure out if you COULD actually fly and were worth training. 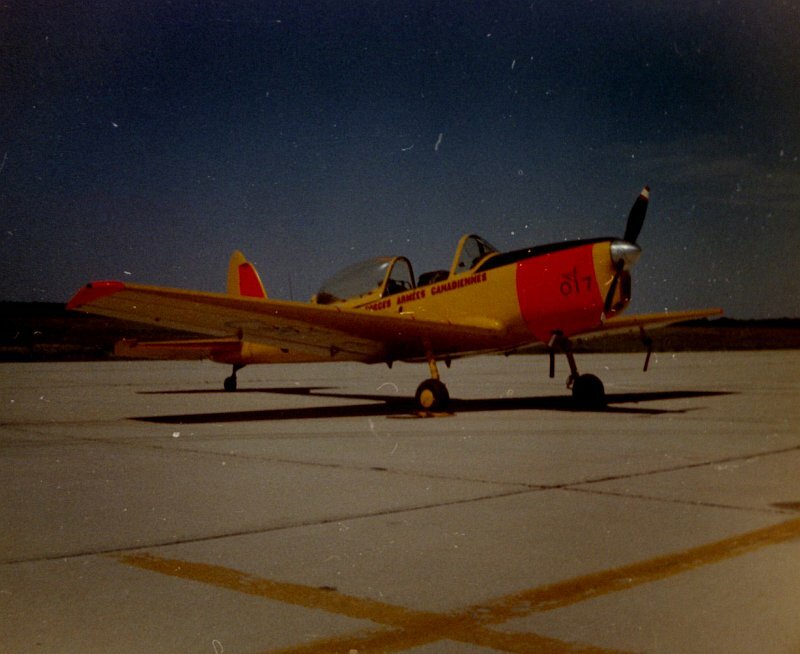 But, it was aerobatic so it was also the first plane I ever did a loop or roll in. Pilot selection training was pretty strict and only about 10 out of the 30 or so who started the 6 week course actually finished. Then they sent you to Moose Jaw to fly Tutor jets. . . wooohooo jets! Tutors were a lot of fun. You could go just over 400kts and up to 43,000ft. The Chipmunk was a toy. Little did I know what was coming. Aerobatics were great and formation a joy but all that studying and memorizing numbers and emergencies and equipment behavior. Good thing I was single and had no where else to go. A winter in Moose Jaw made me work hard to make the cut. 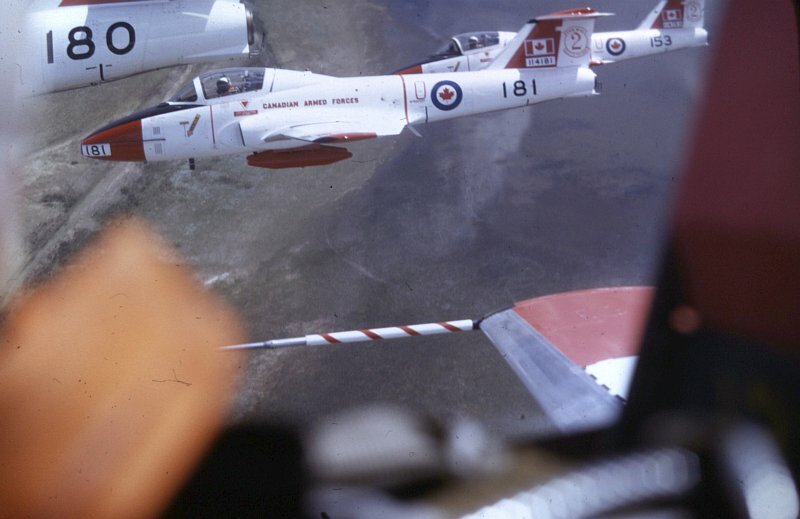 After advanced jet training in Glimli Manitoba on T-33s I went back to Tutors for about 6 months waiting for operational training and in April May 1971 I got to fly with the newly formed "Snowbirds" a few times. 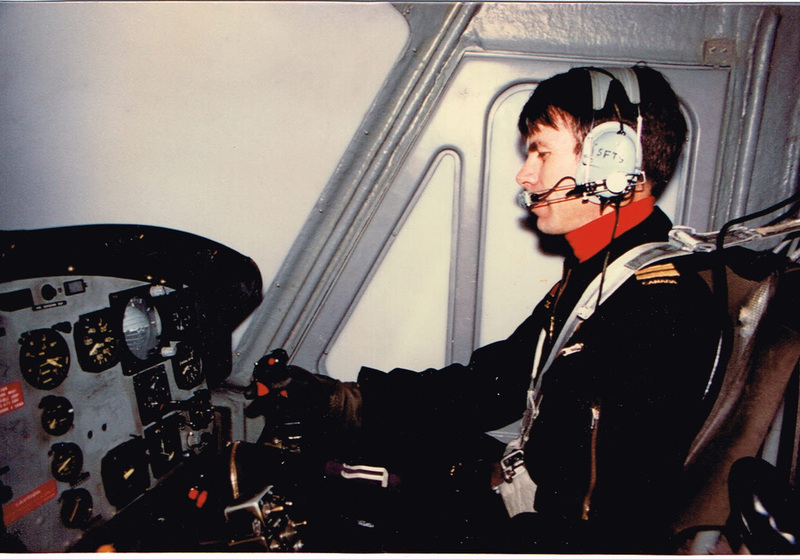 At the time I was more interested in flying 104s, thinking these little Tutors are "just toys" and I wanted to fly a REAL fighter jet like the Starfighter. Had I paid more attention to my instructor Chester Glendenning at the time I might have recognized the value of becoming a Snowbird . . . like he did. He became one. 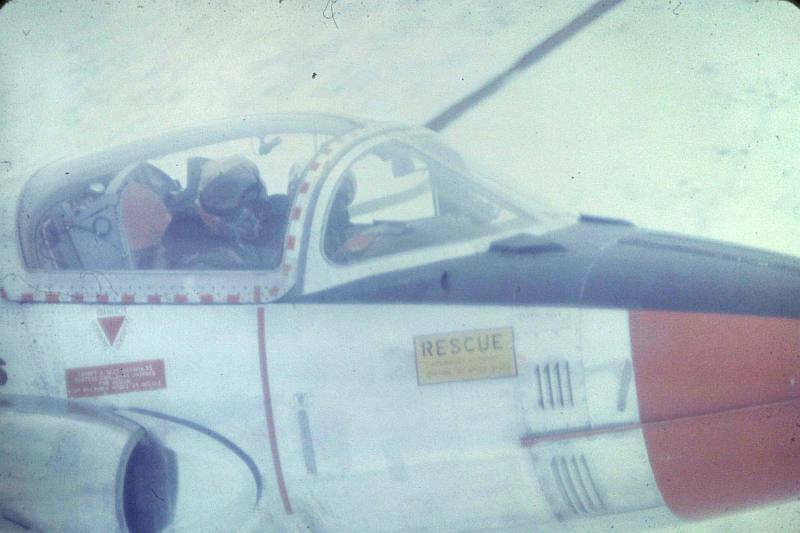 Advanced jet training was in Gimli Manitoba where I flew the T-33 Silver Star. Great experience, more challenging instrument flying. Half way through my first hi-level TACAN approach to Red Lake airport at about 12,000ft my instructor said " I have control" and told me to take off the bag. . . that's the canopy cover so I can't see out but he can. When I looked left we were at tree top level doing about 300kts with the tops of the trees just whipping by the tip tanks. . . 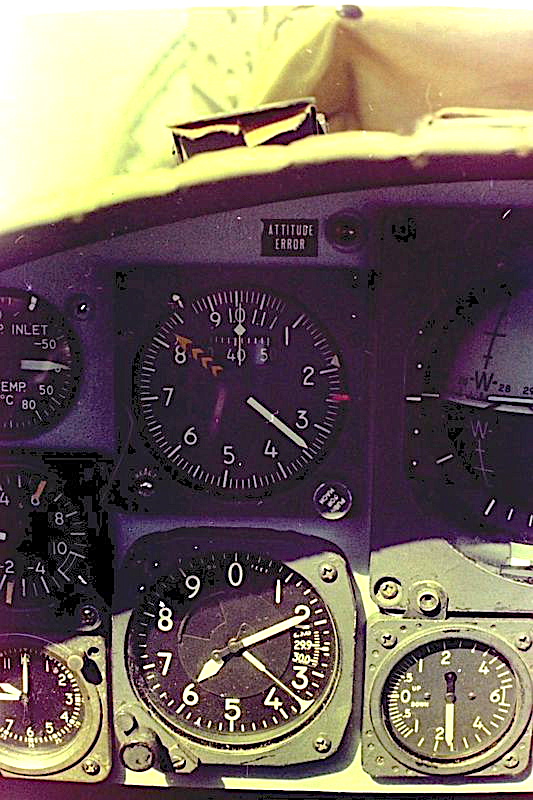 I had misread the altimeter by 10,000feet . . we were actually at 1,200 feet . . . yikes! There is nothing like showing your girlfriend your JET to get her interested. Actually she was already my fiance. Funny how many nurses married pilots. Four Plane formation was the greatest feeling of accomplishment . . especially in cloud . . when you are hanging in there tight with your Lead, All you can see is his wingtip and canopy through the fog, but you FEEL like you're upside down due to vertigo or "the leans" . . You just have to trust your Lead. After T-Birds I went back to Moose Jaw to fly Tutors again while I waited for an operational posting. I joined C-Flight or "Cocktail Flight", flying 2-3 days a week and doing odd jobs around the base. 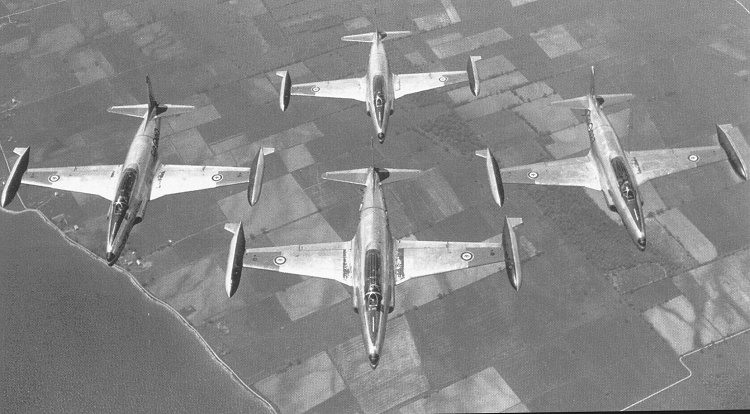 C Flt became Hold Over Flight and eventually was known as "Left-Over" Flight. But that's where I got to fly with the Snowbirds a few times, in their early days, before they became famous. 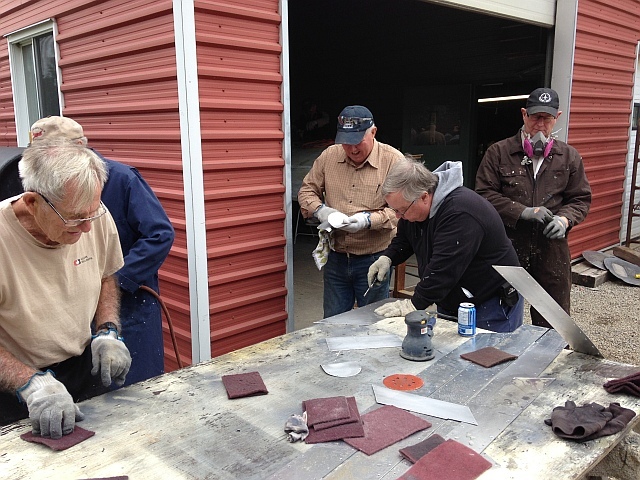 We did shows in Saskatoon, Estevan, and Regina and practice sessions in the training area. I just sat there and pulled the gear up and down when called for. 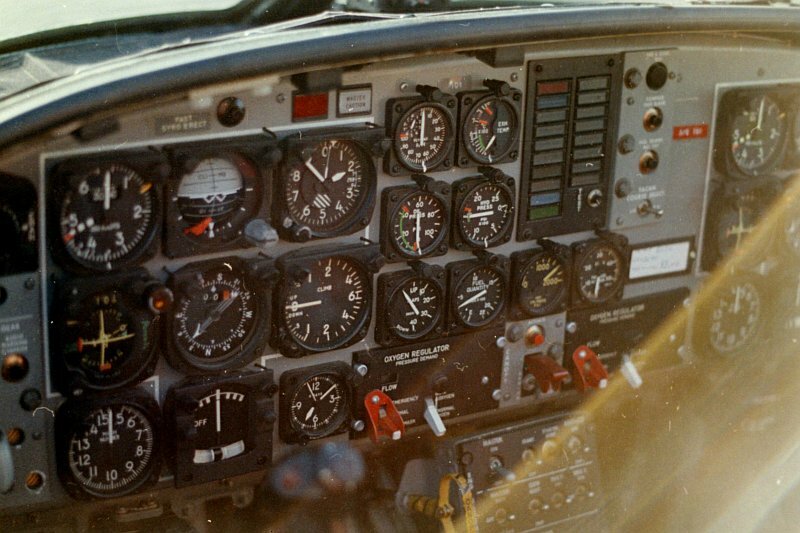 There is only one gear handle in the Tutor and if you are a Snowbird pilot "Echelon Left", flying from the right seat, you can't reach it. 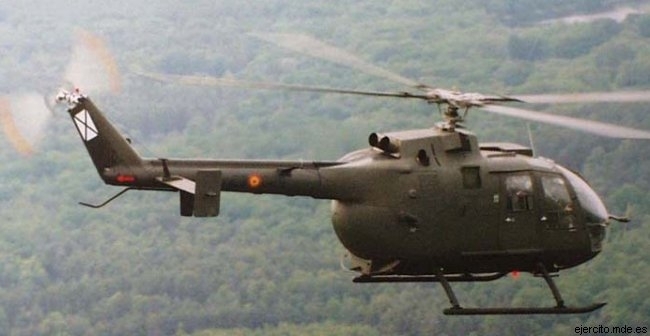 Jet jobs were limited then and so about 6 months later about half my course 6905 went to Seaking helicopters and some, like me, went to the new TAC HEL units starting up in Quebec City, Edmonton and Petawawa ON. I went to 430ETAH in Val Cartier Quebec where my dad worked on munitions in 1942-45 and Vanda went to Jeffery Hale Hospital in her first job as a nurse. Strangely enough, Jeffry Hale was where my mom first went to nursing training in wartime and met my dad at Val Cartier. 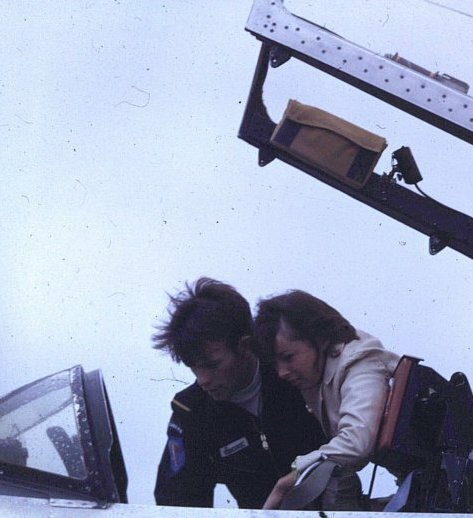 Earlier in 1971 I got to take a trip to Ottawa to visit Vanda, with instructor Rod Sword. It was a "one hop" from Moose Jaw to Ottawa stopping in Thunder Bay for fuel. We filed 43,000ft eastbound and there's not much left in a Tutor up there, near the stratosphere but it's a great view above all the weather and you get great fuel economy. Both times we ended up landing with minimum fuel . . just enough to taxi to the ramp. Learned a lot that day. Meanwhile back in Moose Jaw our "Career Manglers" casually forgot to mention that the new TAC HEL units were army units and that they did not have anything that flys yet. So it was off to helicopter conversion training on the Hiller. This was a bug sized piston engine "whirly-bird" right out of a MASH unit in Korea. . . 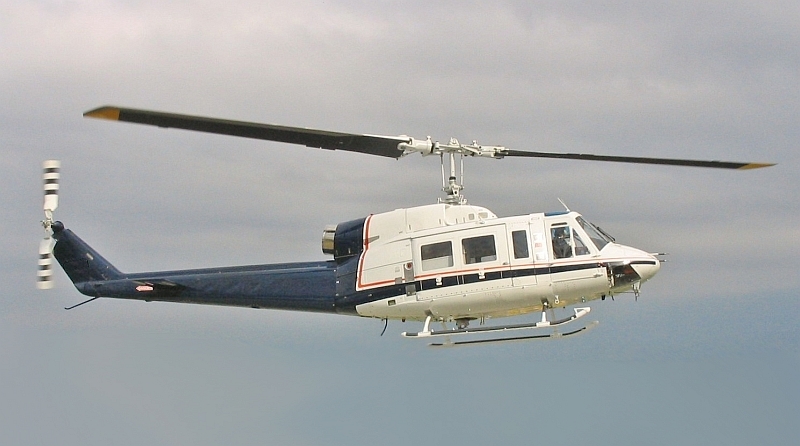 Yes I know MASH had -Bell47s, but they are quit similar. I moved to Portage la Prairie Manitoba. My first instructor was Billy Sundman and I was his first student after his tour on Seakings with the Navy. On our first flight together, taxing back in to the ramp over the grass, and without saying anything, he chopped the throttle on me for a practice engine failure. Before I knew what happened I had bounced once on the grass and was now staring straight out the bubble in front of me looking directly down at the ground. Bill survived and so did I. We didn't bend anything, but I think we both learned something that day. Next came the Twin Huey and the Cessna 182D. 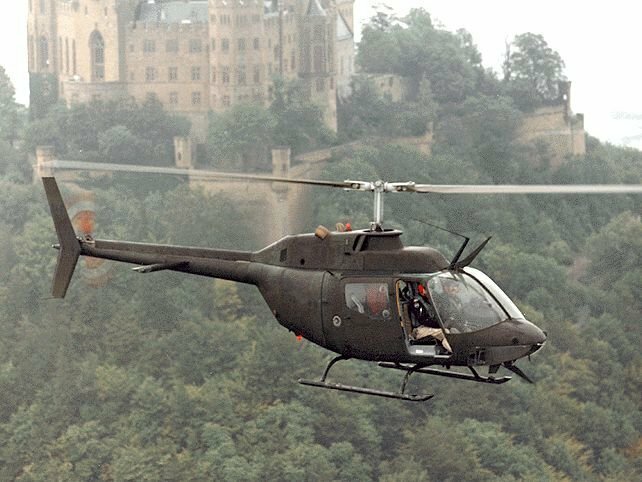 I flew both of these at my first squadron, 430 ETAH Quebec City, because they had not yet received the CH-136 Kiowa recce helicopters I was assigned to fly. 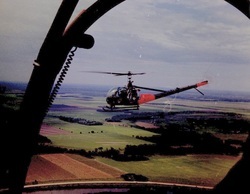 All the Kiowa guys had to scrounge rides from any Huey driver who would condescend to give us seat. From fighter pilot to strap hanger in 6 months so I'd lost on 3 counts. I didn't speak french, I didn't want to fly helicopters and I didn't want to work for the ARMY! Still, I did manage to get over 50hrs in the Twin Huey since they too were short pilots at first and only had 2 Hueys to play with. 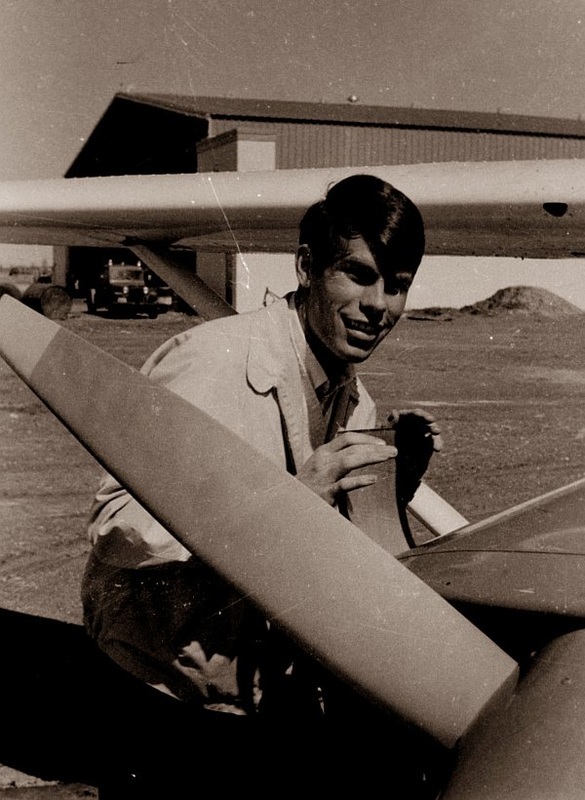 I also flew the Cessna 182D ( the local Army General's liaison aircraft) that nobody else wanted to fly. Man! Two years of jet training and I'm back to flying a Cessna. At least it was shiny. 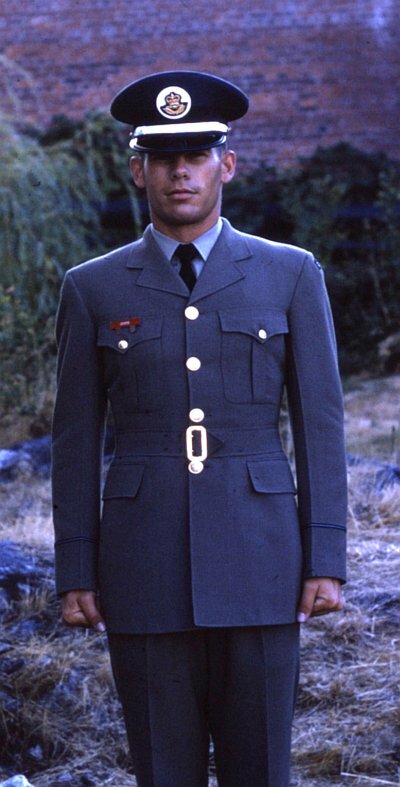 That's my first RCAF Cadet uniform, but I was already a Lieutenant by now. 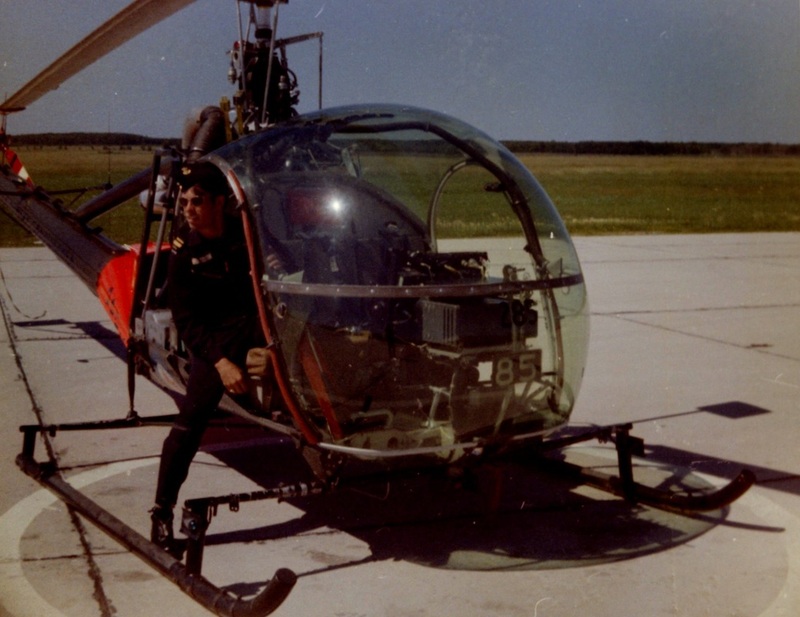 (LOH stands for Light Observation Helicopter) Finally in 1972, I flew down to Fort Worth Texas to the Bell plant to pick up my own shiny new camouflaged, CH-136 Kiowa and I spent the next 8 weeks in Gagetown New Brunswick learning how to fly it operationally and become an LOH pilot pronounced "Loach Driver". I flew this aircraft the most, over 3000hrs in three tours with one in Germany. I also flew it in France, Italy, Switzerland, Denmark, Sweden, Norway and almost into Czechoslovakia once. . . but that's another story. 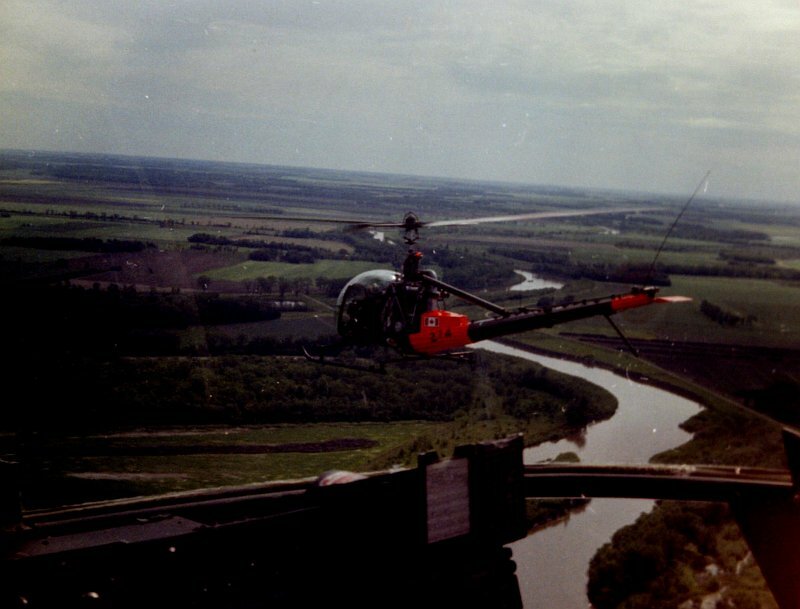 I also flew as a combat flying instructor with 403 Sqn in Canada, Quebec, New Brunswick, with a couple of trips down into the eastern States and again later in Ontario with 411 Reserve Sqn Toronto, where we helped the RCMP look for remote marijuana grow ops around southern Ontario every fall. That was great touring all over Ontario at low level. Flying recce however, supporting NATO Armored forces with "Triple Four" Squadron, NATO, it was all business. The Cold War was serious business. We knew we'd be the first casualties if the balloon ever went up and we had to do the job we were trained for. Fortunately, that never happened . . deterrence worked I guess and it was amazing flying. 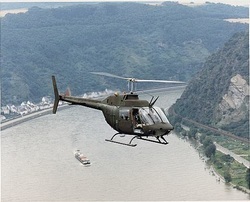 Low level all over Europe without needing much of a Flight Plan, in the sunshine and the fog of the Rhine valley. Our operational ceiling was 50 ft to avoid being run over by the "Go Fasters" . . who were not supposed to go below 100ft. 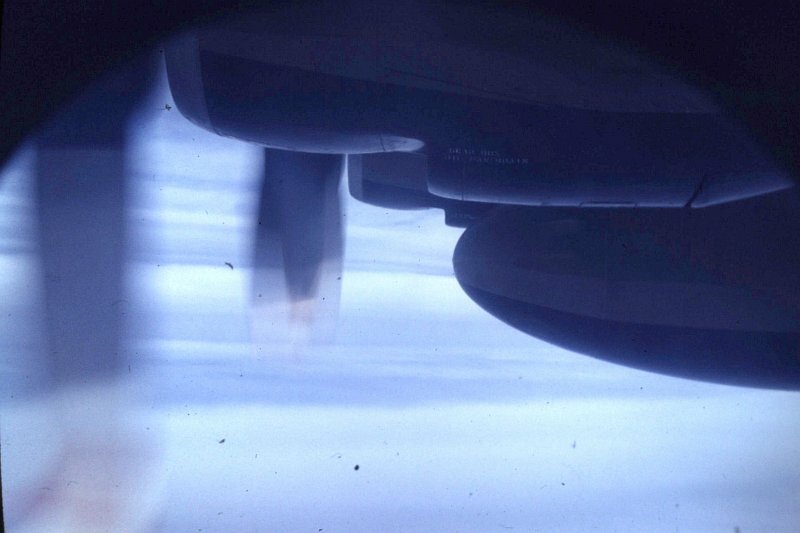 But when everyone else was grounded for weather we could fly with only "800ft visibility and clear of cloud". 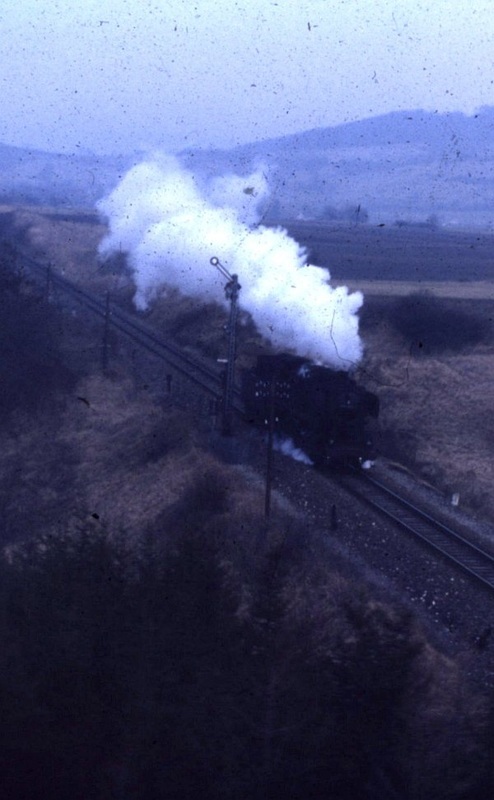 Once, coming home to Lahr on the edge of the Black Forest, it was clear and a million all over southern Germany, but the Rhine was socked in with a solid layer of fog about 200ft thick. We taxied down the edge of the forest on the tree tops till we saw the autobahn and then over to the airfield a half mile west. 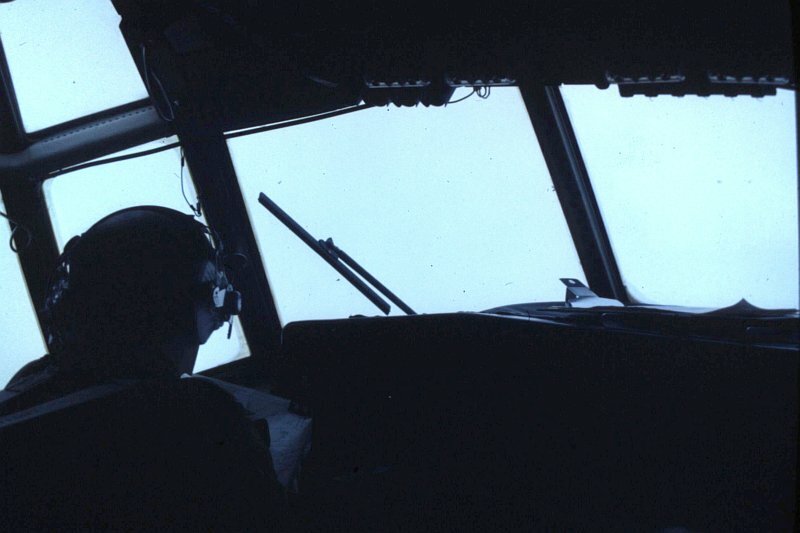 I guessed that's what 800ft visibility looked like. . .even flew UNDER the autobahn once. 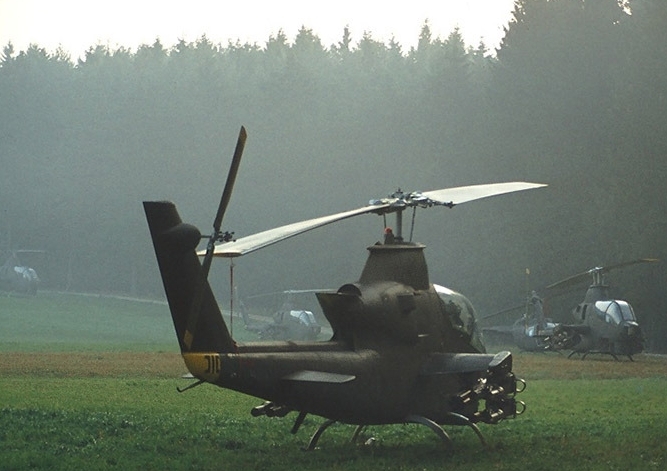 Also got a chance to fly the Huey Cobra AH1-G model (left) when we visited 2nd Armored Cavalry unit one day. I flew it from the front "Gunner's" seat that only had a couple of small joysticks on either side. Very responsive though. We supported them on Reforger Exercise each fall. Too many stories to tell here. Let's do that over a beer sometime. Ask me about the steam engine. 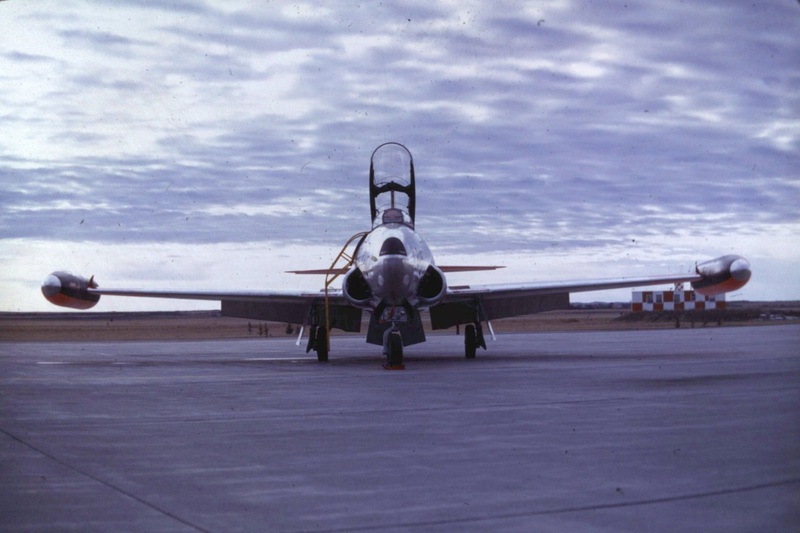 Got to fly the twin engine F-5 once . . well from the back seat . . but it was still fun doing a ground attack training mission with 433 "Four Tree Tree" Escadrille, a french fighter squadron out of Bagotville Quebec 1973. The jet jock up front was giving me, (the mear chopper pilot) a ground attack demo. 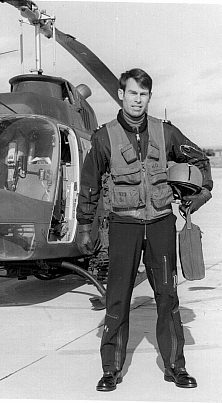 I was a FAC (Forward Air Controller) who had just given him a ride in my recce helicopter to show him how we guided fighters in to find their targets. Ground attack from his perspective . . is quick 3G pull-up for 2-3 seconds, then snap roll inverted . . pull a smooth 2G till you are pointing at the target . . upside down . . .crank the wings level again and hold steady for 3-4 seconds while you release weapons . . then another snap roll off target in a hard 4-5G pull to the right at 420kts. After 2 of those I needed to briefly take off my oxygen mask and fill a barf bag so I wouldn't be "peering through the peas and carrots". The rest of the mission went fine. It's a pretty small and busy cockpit. 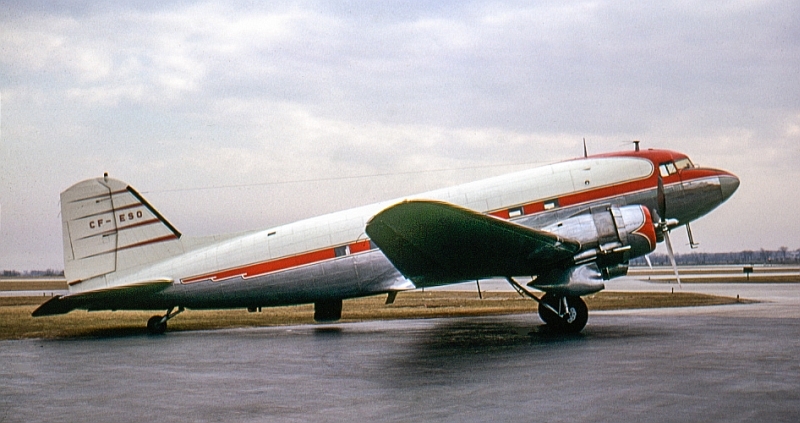 Twin engines meant twice the engine instruments plus radios, flight instruments, and weapons controls. While in Germany I did finally get to fly the 104. I did not get to takeoff or land it but it was still a blast. It's a real kick in the pants when the burner lights on takeoff. . . but there is little tolerance for not taking your mind to where you are planning to be, at least 1 minute before the airplane gets there. 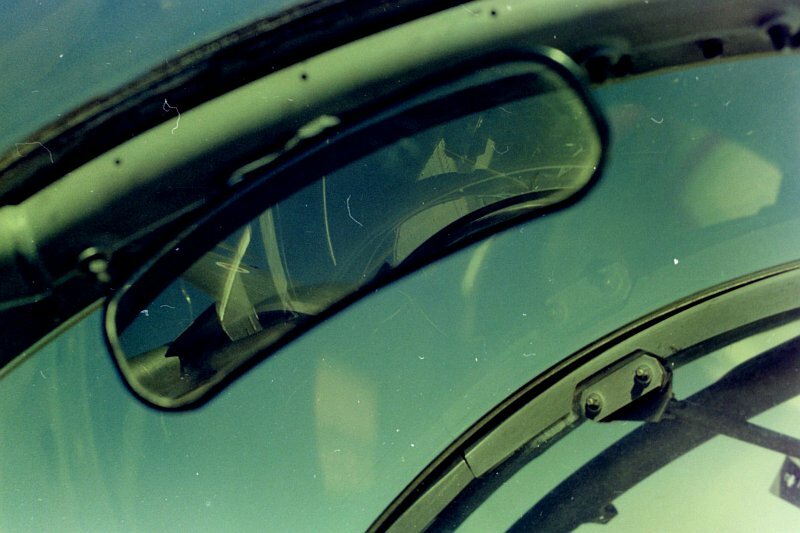 Here's the view from the back seat in the rear view mirror, We went to 36,200 ft and did a Mach run to test out the NBCW combat flying helmet I had developed for 444 Sqn. 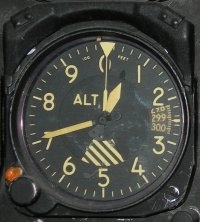 Check the Mach meter above the altimeter. At Mach 1 and 36,000ft it's pretty quiet, smooth and uneventful. I actually found it more exciting flying 120kts and 10 ft while dodging trees and wires . . at least that's what I told myself. Once an year, while in Germany, we would go back to Fort Campbell Kentucky to fly US Army flight simulators. and then to Gagetown NB, to fire rockets and mini-tat ( left). . . Just not enough space in Europe. Mini-tat was a 6 barrel gatling gun on a turret below the aircraft that could spew out 1,500 rounds a minute. That's 25 rounds EVERY SECOND!. In the hover it would back you up a few feet every time you fired. 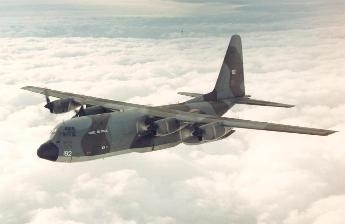 While coming back to Europe from Canada once our Canadian Prime Minister, Pierre Trudeau decided he needed to take a trip in the Boeing more than I did, so I had to thumb a ride on an RAF Hercules (4 engine turbo prop) . .that just happened to be in Trenton and going transatlantic back to England in that evening. . since I was aircrew they let me sleep in the upper bunk behind the flight deck and wouldn't you know it they let me fly the left seat for a while over the north Atlantic.. We arrived at RAF base Lyneham England in the morning in the middle of a Base Security Exercise and I was immediately arrested by Military Police as "Not on the Manifest" All was explained in front of the Base Commander in his office that morning, so I was allowed to catch a bus and a train back to Lahr Germany later that day. 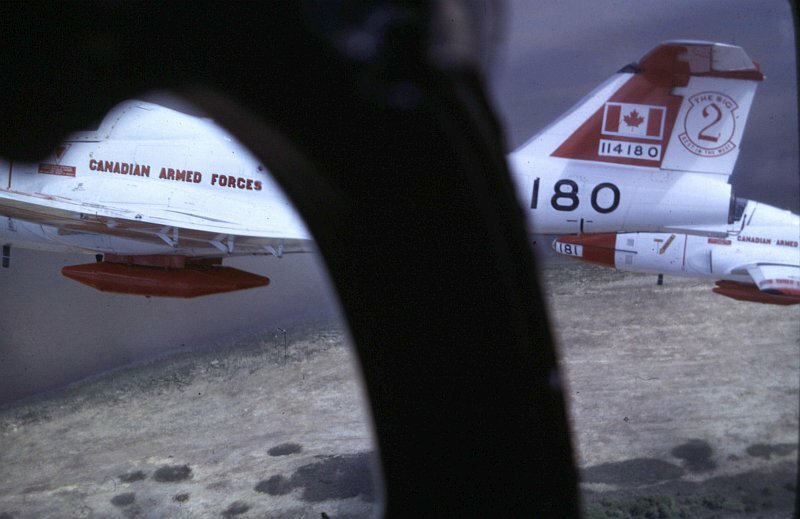 Back on Canada on 1977-78 I took the Aerospace Systems Course in "Winterpeg" . . (Winnipeg Manitoba for those who have never been there in the summer) and learned all about buying aircraft and weapons systems for the Canadian Forces. As result I got to see all the latest equipment and even fly some of the aircraft we saw. 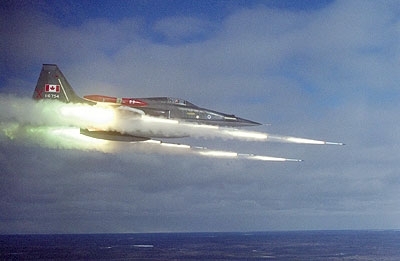 Not the F-14 Tomcat or F15 or 16 sadly . . but other amazing equipment. 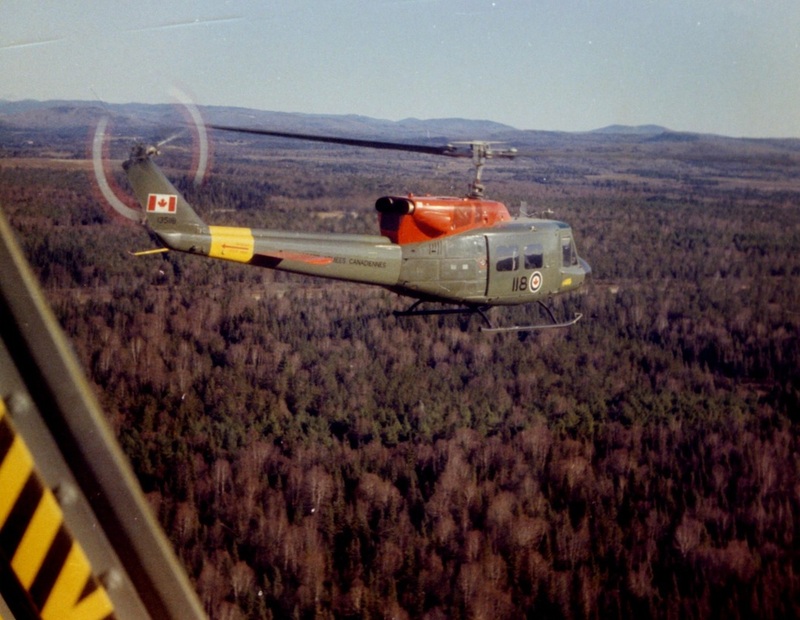 On my 3rd flying tour as the LOH Flight Commander 403 Combat Training Sqn, CFB Gagetown NB, I mostly flew the Kiowa again. We got to fire all the weapons and fly 100kts at 3ft off the ground, under wires and popup behind the trees. Again, doing all that is a blast as long as no one is shooting at you. One day the Germans came over to show us . . and maybe sell us . . their new rigid rotor BO105 helicopter that could do loops and rolls. As Flight Commander, I was first in line for a demo ride and got to fly low level in the training area for an hour. Very stable, very "in control" machine. Some years later 1995 after leaving the service I joined Cybermation software company as Director of Software development. The owner was a pilot and they owned a couple of airplanes. 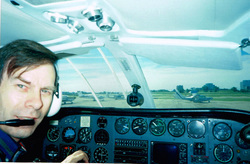 Part of the deal was I got to be a spare corporate pilot sometimes when we went to visit clients in Canada and US. 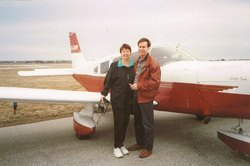 The 340 was great to fly, as was the Piper Saratoga Turbo. 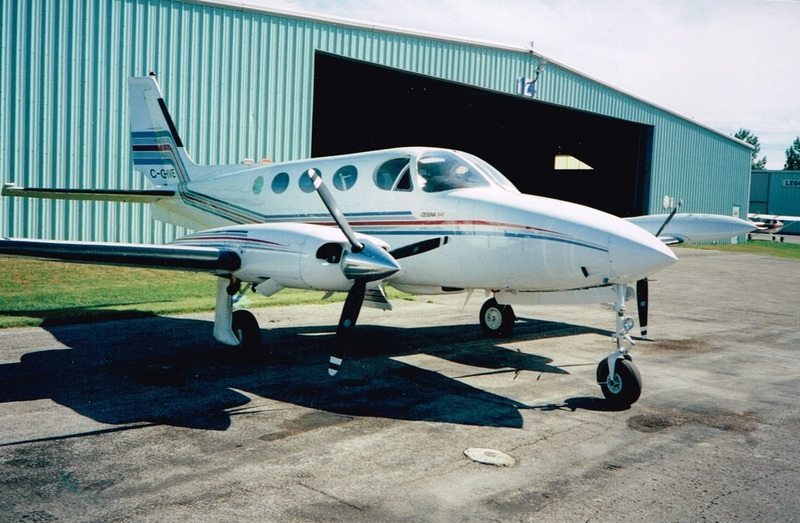 The 6 seat Saratoga had lots of power and never wanted to slow down. I took Vanda to Sarnia from Buttonville once and an electrical problem left us with no radios. She can tell you the rest of that story. 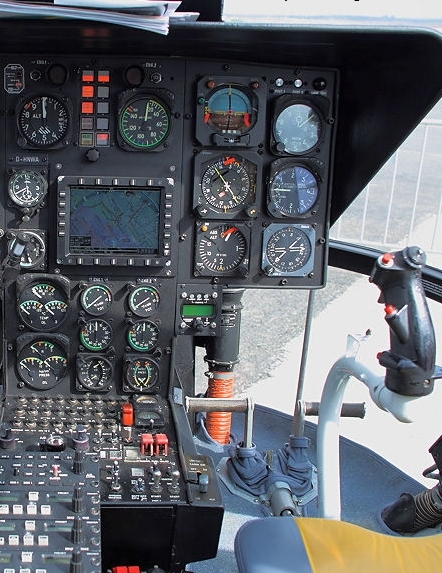 Got to fly the civi version of the Kiowa, the Bell 206 with my friend Dave Roher. We flew together in Germany and in Gagetown and now that I was flying Kiowas again out of Downsview he dropped in one day and took me for a spin in his 206. I won't say he allowed me to fly it but since he was flying for Transport Canada then and I was with 411 Sqn in the reserves, we were both government pilots flying government aircraft so what's the difference eh? Rick is a local aircraft builder in Sarnia where I retired recently and since working with him and others on restoring the F-86 Golden Hawk jet he invited me for a ride in his RV. This is an amazing little machine, built by him personally. It won BEST IN SHOW at Oshkosh a few years ago and you can see why if you ever get close enough to see the care and detail he put into it. Handles like a little race car. Thanks Rick. Below is a shot of the re-dedication ceremony flypast I took when we put the refinished Saber back on the pedestal in Sarnia. The Snowbirds did a flypast salute on a perfect day sometime later. 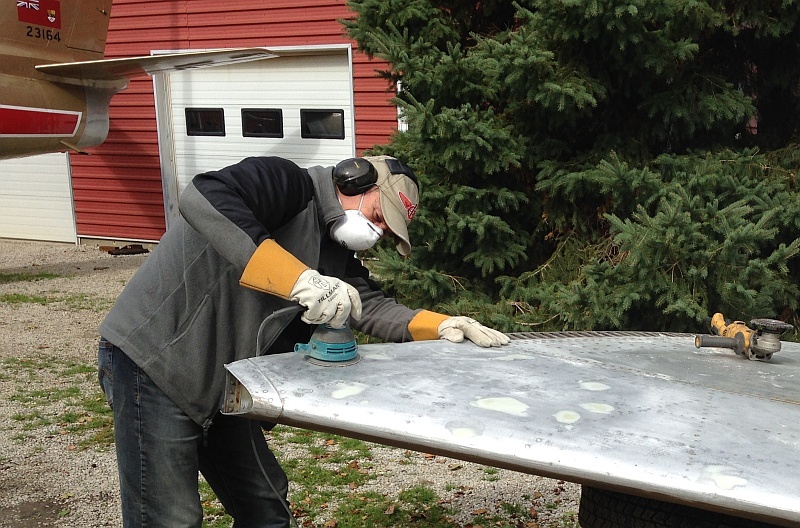 I spent several months working at Rick's place with a great group of local pilots to restored this famous show bird. 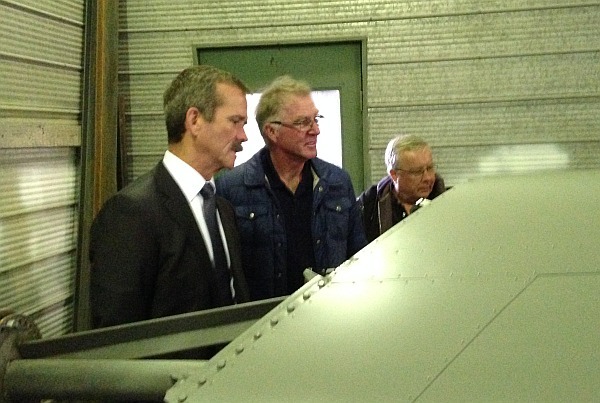 Astronaut and Space Station Commander, Chris Hadfield (suit) even dropped by to see our progress. 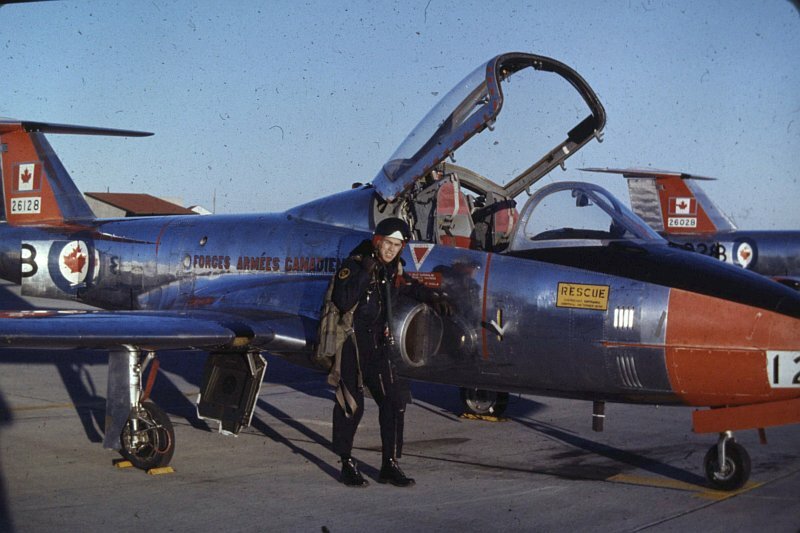 He flew one of the last F-86's still flying in the world that has since been sold to an American which is both sad and unfortunate for Canada's flying heritage. 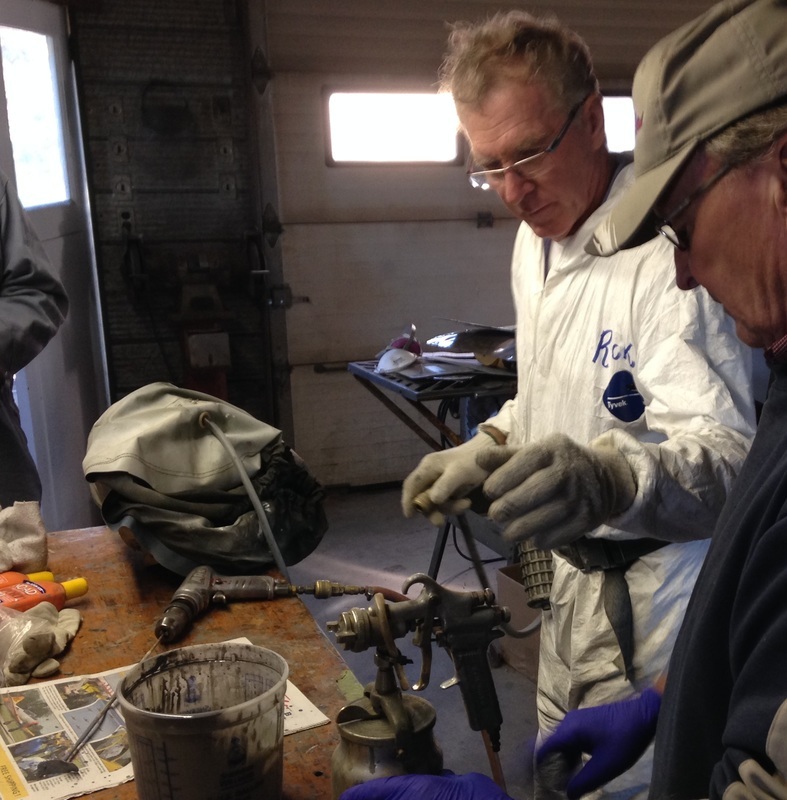 That's Rick with Hadfield checking the wing and Rick in the white paint outfit. 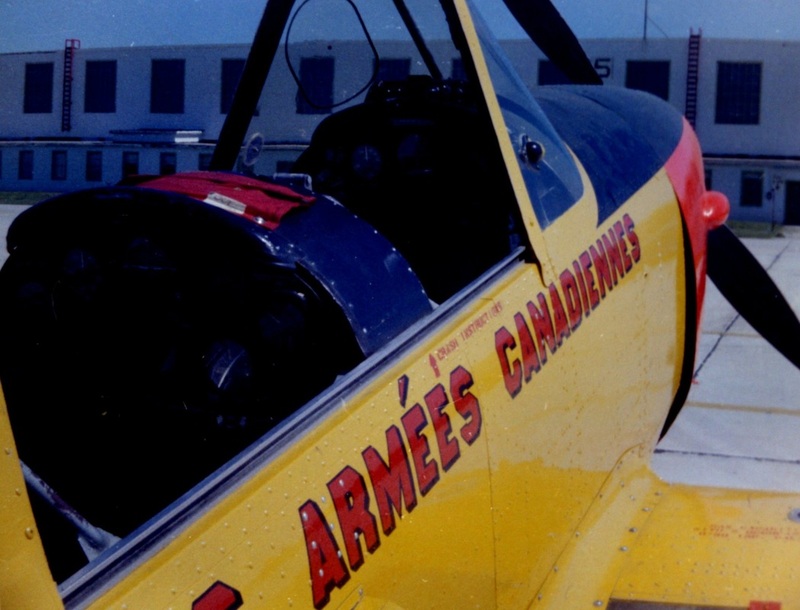 This actual Golden Hawk tail number (26134) was a good part of the reason I joined the RCAF. 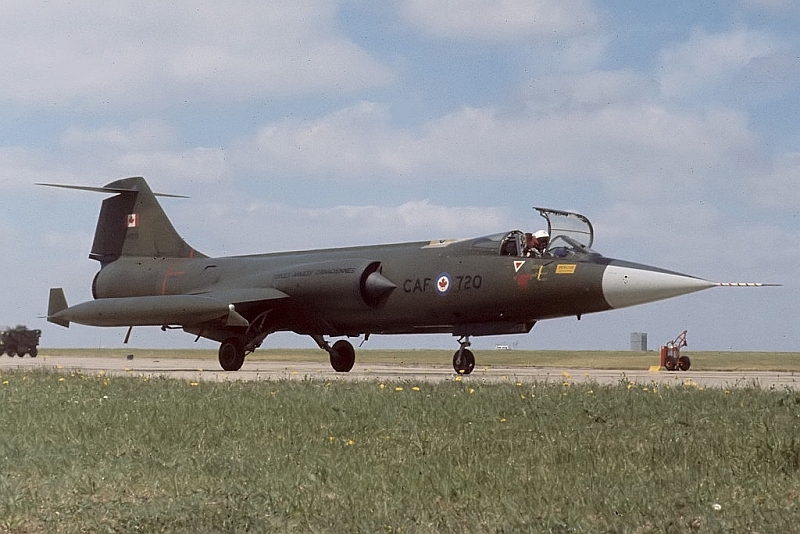 Back in the early 60s as a teenager, I stood on the end of the Sarnia Airport runway and watched as one of these birds ( possibly even this one) as it flew down the runway, directly over my head at about 250kts . . . INVERTED. . . I said "I gotta do that" . . . . This is me . . and yes its a real photo (not photoshopped), taken at the London Airport 16 Dec 95. There's a witness, Maj Kevin Psutka and we flew in together . . in the same aircraft. 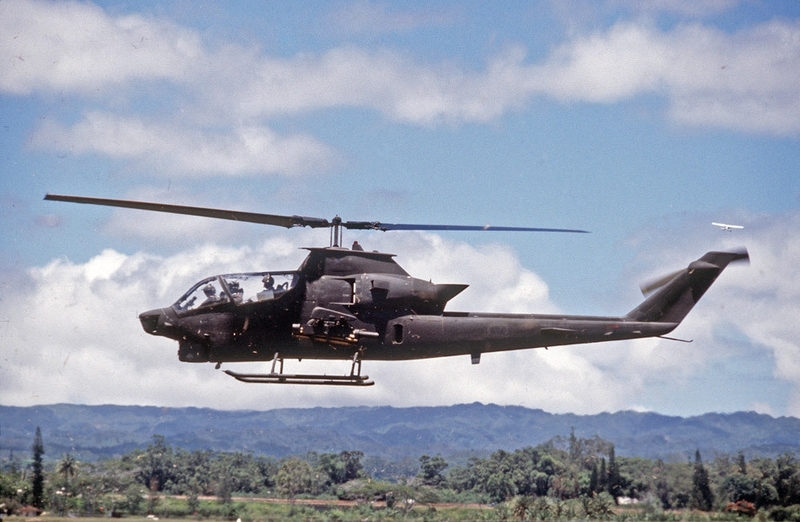 . . No NOT this one, but a CH136 Kiowa helicopter from the 411 Sqn, Reserves in Downsview Toronto. Parked just off to the right. Knowing the the F-18 did not need a key or a start cart, Kevin suggested we should hop in a take it for a spin. . . Kevin is a Voodoo driver and I had a fair bit of jet time. Who would know? A couple of RCAF pilots fire up an F-18 in London, make a few high speed passes over Detroit and Toledo, Come back to London and refuel . . who would know . . except maybe the crew that brought it here in the first place when they get arrested for low flying . . .Their chutes and helmets were on the seats . . Who would know? . . .Fortunately, we decide not to. . . . even though it was perfectly doable. Even un-edited photos, although they accurately show reality do not actually portray reality. 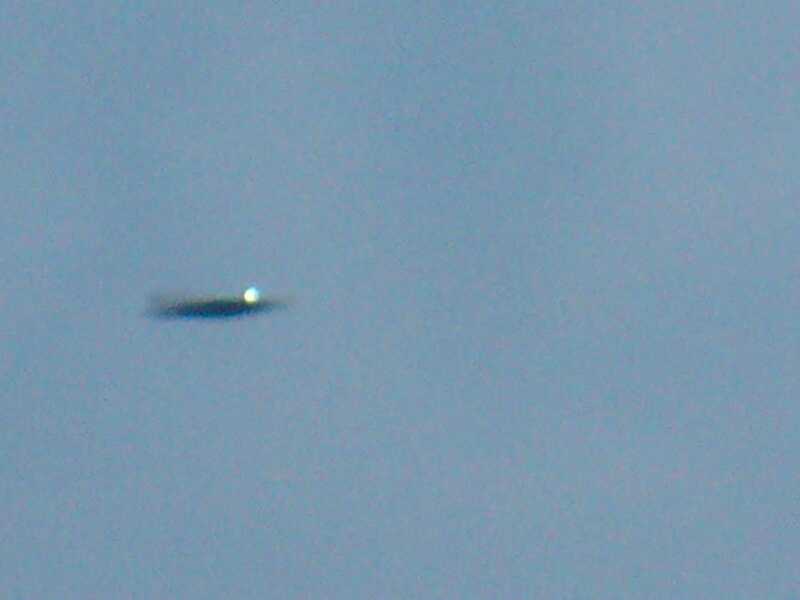 This is a UFO photo I took in 2001, near Wiarton Airport. You can build a great story around this photo because there were several witnesses, and they will all say they saw something . . but, after it landed I took a closeup. ﻿This F-86 (#26134) was part of the original RCAF Golden Hawks flying demonstration team of the 1950's and early 60's. It was refurbished and remounted on the pedestal in Sarnia Ontario by volunteers and members of the Canadian Owner's and Pilot's Association (COPA FLT 7) to honour both the Hawks and all service men and women who served and died in service to Canada. Many who served in the Canadian Forces in the 1950's had only just returned from the Second World War barely 5-10 yrs earlier and knew more than most how important excellence in their daily routines was to the security of others. A number of these outstanding Canadians served with distinction in European air wings like the Allied Bomber Command. 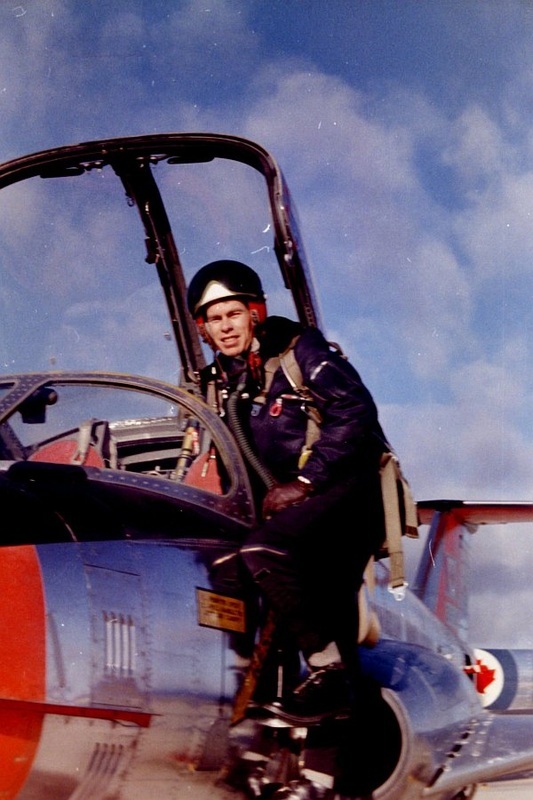 One such person from Sarnia, Flt/Lt Sean Dunn, flew Wellingtons with Bomber Command and his son Tom, also of Sarnia, recently uploaded his wartime logbook including photos and stories of his exploits.